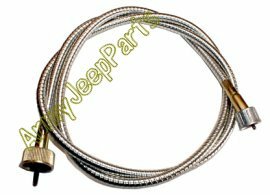 Speedometer cable assy. metal jacket type. These are high quality reproduction cables and look just like the originals.